across the parking lot can look like this. Earn points for taking your medicine. Chronic obstructive pulmonary disease (COPD) is a progressive lung disease that can make it hard to take a simple breath. That’s why it’s important to work with your doctor to develop the right treatment plan to help you manage your breathing for the long term. COMBIVENT RESPIMAT is a COPD treatment that delivers 2 different medicines in a single inhaler to help you breathe easier. Not to exceed 6 inhalations in 24 hours. Follow directions from your doctor. Do not use COMBIVENT RESPIMAT more often than your doctor has directed. Deaths have been reported with similar inhaled medicines in asthma patients who use the medicine too much. Seek immediate medical attention if your treatment with COMBIVENT RESPIMAT becomes less effective for symptomatic relief, your symptoms become worse, and/or you need to use the product more frequently than usual. Already taking another COPD medication? When you need more help with COPD symptoms, your doctor may prescribe COMBIVENT RESPIMAT along with your current medication. Be sure to continue taking all of your medications as prescribed. Talk with your doctor if you have any questions about your COPD treatment plan. Need help using your inhaler? This how-to-use video can help. COMBIVENT RESPIMAT is a bronchodilator—a medicine that helps open (dilates) your airways (bronchi). Studies have shown that, working together, the 2 medicines in COMBIVENT RESPIMAT do more to open the airways than either medicine can do on its own. Ipratropium bromide and albuterol relax the muscles in your airways to help open them. See how COMBIVENT RESPIMAT works. RespiPoints™ is a free educational support program that helps you earn points daily for taking COMBIVENT RESPIMAT. 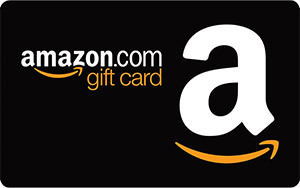 Redeem your points for e-gift cards from top retailers like Amazon.com.